Are you thinking about listing your home for sale? Before you do, take a good, hard look around and see what you need to change. 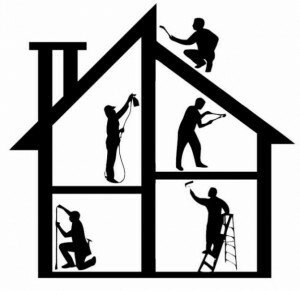 Most homes need a little bit of TLC before they are ready to go to the market. Spending some time sprucing up yours will improve its appeal and even drive up the selling price. Here are some areas where it makes sense to spend a little time and effort as you prepare your home for the market. You’d be surprised how dingy your paint is looking. When you start to paint over it, you will realize how badly you needed to tackle this job. A new coat of paint makes the home look fresh and new, and adding a neutral color helps give your home a more universal appeal. Also, painting gives you the chance to address cracks in the paint or drywall that can make buyers wonder if the house is in good repair. Paint the ceiling: The ceiling needs to be painted along with the rest of the home. You are probably used to looking at your cleaning and no longer notice the grease spots and dust, but they are there. Buyers will notice, so give it a fresh coat of paint. Remove or paint over wallpaper: Even if your wallpaper is tasteful and modern, your buyers don’t want it. They want their own look for the home. Remove the wallpaper, if you have the time to do so, and paint the wall. Sometimes you can get by with painting over wallpaper, if it is not peeling, to freshen up the look of your space. Paint wood paneling: No matter how much you like it, wood paneling is simply not in fashion. Coat it with primer, then paint it a neutral color to improve your home’s salability. Remember that you can paint over fake wood paneling, too, with the right primer. Kitchens and bathrooms sell homes. Buyers can overlook many things, but if the kitchen is outdated and the bathroom is ugly, they immediately see dollar signs as they consider the cost of these upgrades, and your home will lose potential value. According to Zillow, mid-range bathroom remodels will bring back over 100 percent of the investment cost when you sell the house, while kitchen remodels will bring 80 to 90 percent, depending on the extent of the remodel. Yes, these improvements will be more costly than throwing on some new paint, but they will pay for themselves when you go to sell the property. Updating cabinets: Cabinets that are outdated don’t have to be scrapped completely. If the shape and design is fine, consider resurfacing or repainting. Then upgrade the hardware for a more modern look. Countertops: Affordable laminates can update outdated countertops, or you can opt to resurface and event paint these to make them look like marble without the high cost of replacement. Lighting: Swapping out an outdated lighting fixture for something more modern will brighten up the space and improve the overall ambiance. Sinks and faucets: Again, a modern sink and faucet will do wonders for these spaces, and these do not have to cost much. Flooring: If the flooring is broken, stained or outdated, a simple laminate, which you may be able to lay yourself, can make a world of difference. As you are looking, don’t forget to trim up your bushes and cut the grass. A fresh layer of mulch in your gardens will do wonders as well to the overall look of your home. Remember, as you consider the home repairs to make before selling, you have to think like a buyer. What will the buyer notice, and what will cause them to choose a different home? Make these changes, and enjoy a home that sells quickly and for a better value. Darryl Crosby is the Marketing Manager of Schedule Fred. A home improvement and handyman company that helps busy homeowners take care of all of their windows, door, and interior/exterior repair projects.